You’re already paying too much for your energy bills. Our spray foam is not only a way to protect your roof; it can protect your investment, and keep your conditioned air inside the building. This is how effective your new roofing solution could be. In addition to coating your metal roof with spray foam and or silicone, offering a lifetime of water damage and corrosion protection, it can make your energy bills go down. And save you tons of money from avoiding a costly roof tear-off. WIth an SPF or Silicone Roof, you get the best protection from the harsh weather conditions. It’s also an air-tight insulator. 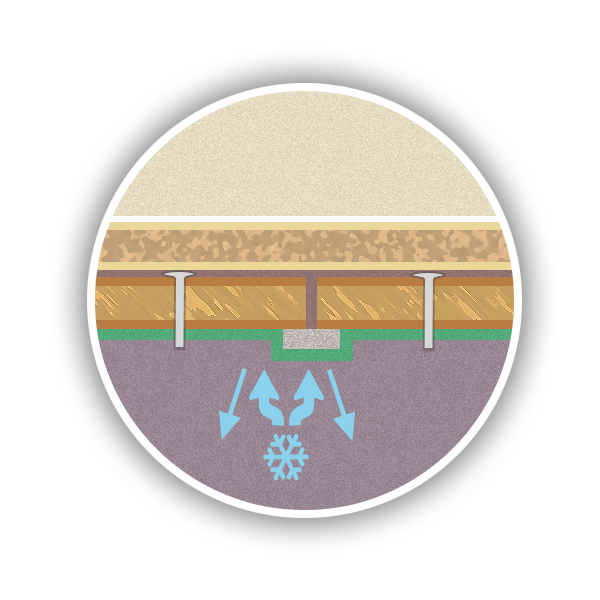 The SPF Insulator will fill all the seams, cracks and holes, leaving your roof stronger, and leak free. Your conditioned air won’t escape the building through the roof, saving you 35% of your current energy loss, which can mean tons of money back in your pocket. 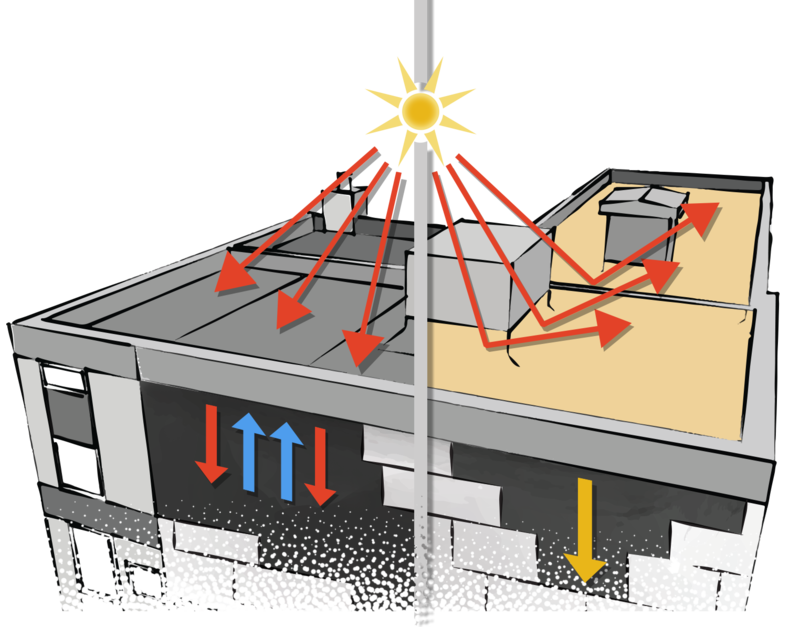 Dark colored, mechanically fastened roofs with board insulation will heat up when in contact with the air-conditioned interior, causing moisture build up. Your roof has holes and seams from mechanically fastened parts. As the weather progresses, the holes get bigger, and the seams widen. This expansion is how water gets in, and air gets out. Weather conditions can destroy your roof. Our Spray Foam and Silicone roofing solutions prevent your current roof, whatever the type, from succumbing to the harsh environment it’s exposed to day after day. 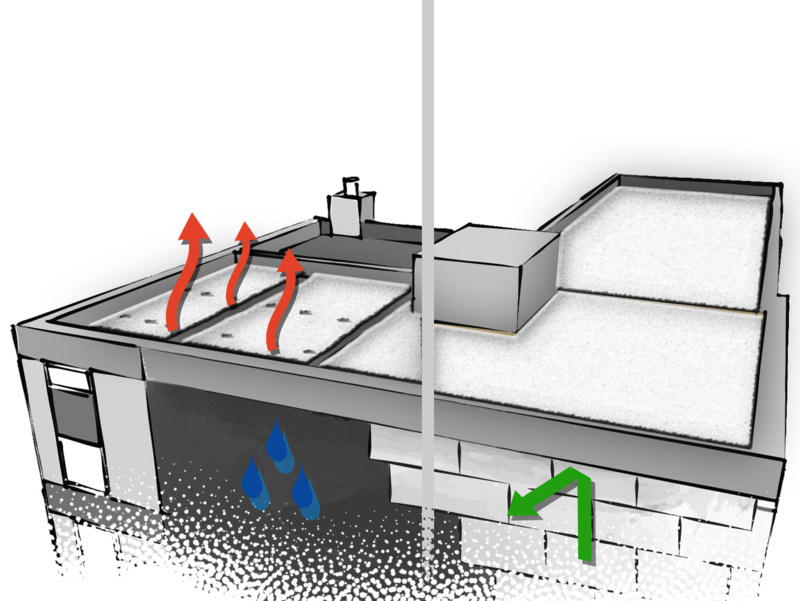 With Energy Shield’s spray foam roofing systems create a seamless air barrier and fill any holes and seams, we stop the air loss through the roof and wear & tear on your HVAC system. Dark colored, mechanically fastened roofs with board insulation will allow warm from the inside of your building out through the cracks, seams, and holes, this causes the snow to melt around those areas, leading to ice dams, and leaking roofs. The heat from your building melts the snow, the snowmelt migrates to other parts of the roof, freezing again, creating an ice build up around the seams and cracks. It then forms a valley for water to sit, eventually leaking through your roof. With our spray foam or silicon solutions, it stops the snowmelt, because no air from inside your building is escaping to melt the snow, and there are no seams to form ice dams. We stop the air loss, snowmelt, ice dams and insulate the roof, stopping the damage that the snow can have on your roof, and your building. With that, comes huge energy savings as the warm air stays inside.